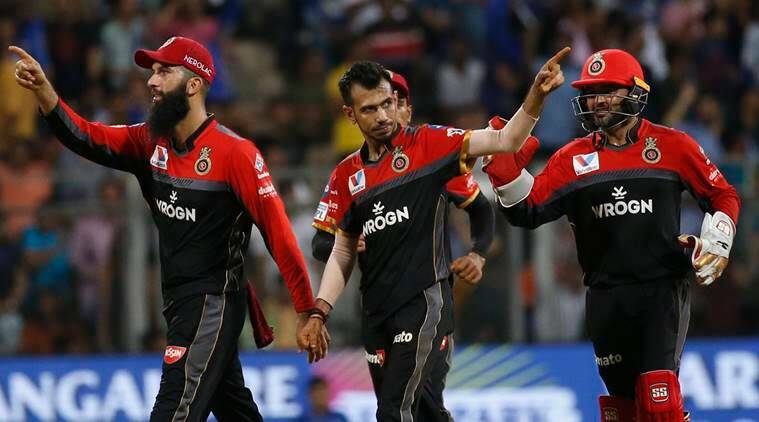 Yuzvendra Chahal expressed his excitement with the World Cup inclusion but maintained the focus still remains on the IPL and trying to restore Royal Challengers Bangalore's miserable campaign. With the selectors naming a 15-man squad for the World Cup on Monday, Yuzvendra Chahal earned a spot and will be flying to England to play his maiden 50-over tournament. The wrist spinner expressed his excitement with the selection but maintained that the focus still remains on the Indian Premier League (IPL) and trying to restore Royal Challengers Bangalore’s miserable campaign. “World Cup is after one month and still I’m playing for the RCB, so I’m just looking towards the next seven matches,” the Haryana leg-spinner said at the post-match press conference following RCB’s 5-wicket defeat over Mumbai Indians. “It is my first World Cup, I’m very excited for that. Everyone wants to represent the country in the World Cup, so I’m excited,” the 28-year-old said. Chahal, who returned with figures of 2/27 against Mumbai Indians, is third in the Orange Cap standings and has been the only positive in the RCB bowling effort. For the national side he has so far grabbed 72 wickets from 41 ODI games. The spinner credited his India teammate and Mumbai Indians all rounder Hardik Pandya for taking the game away from his side. Pandya’s blazing, unbeaten 37 (in 16 balls) helped MI complete a five-wicket win over RCB at the Wankhede Stadium. “The pitch was offering turn and it wasn’t easy to score against the spinners. We bowled well till the 18th over (barring a) couple of bad overs in the Powerplay and still there were two overs and 24 runs (actually 22) left (for Mumbai to chase). We had a chance on this track but Hardik did well,” said Chahal. He refused to blame any particular individual for the loss saying it’s a team game as all bowlers went for runs with Pawan Negi’s 19th over sealing the win for MI. “You can’t blame a particular bowler. A medium pacer or a spinner not bowling good, it is (still) a team game. If we lose the game, I accept that (as a bowler),” he signed off.